Steven Schaal | Tyson Foods, Inc.
Steven Schaal is Vice President and Associate General Counsel for Tyson Foods, Inc. and has served in that position since 2010. 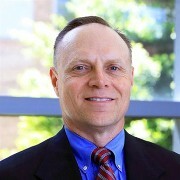 He received his Bachelors of Business Administration in Economics from the University of Nebraska – Omaha and his Juris Doctorate from Creighton University. Steve has over 25 years of experience in commercial and personal injury litigation and claims. In his current role, he oversees the adjusting of all workers’ compensation claims of the company. His group self-administers its Team Member’s claims, processes the medical bills through its internal bill review system, provides case management services to severely injured employees, and also defends the company using in-house legal services. Steve also represents the company as President of the Arkansas Self-Insurance Association and on the Board of Directors of the Missouri Self-Insurance Association.